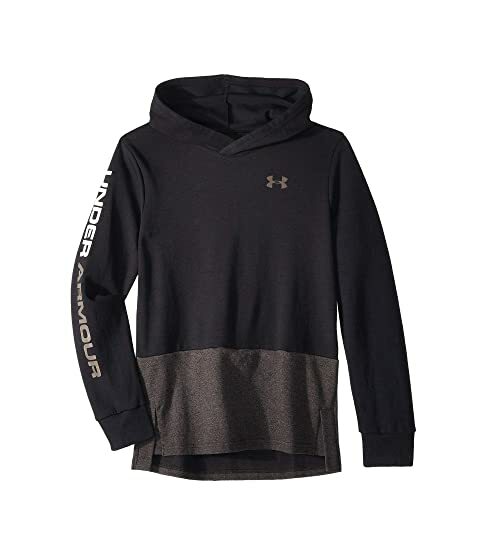 Make the most of your day without the hassle in the easy-going Under Armour® Kids Double Knit Hoodie. Loose fit allows plenty of room for layering with an easy pullover styling. Colorblocked design boasts modern heathered pattern along bottom. Brand marking screened along right sleeve and upper left chest.